It is 9pm on June 30th. I have one more recipe to post before I reach my Summer15 Series goal and gosh darn it, I'm restraining myself from crashing on the couch to bring you this post. Goal accomplished. High fives to all. We finished off June with a bang. A pop. Some fireworks in the sky. Happy July, here is your final recipe for June!.. And this one is a yummy one. Let's finish with a dessert, shall we? Always. 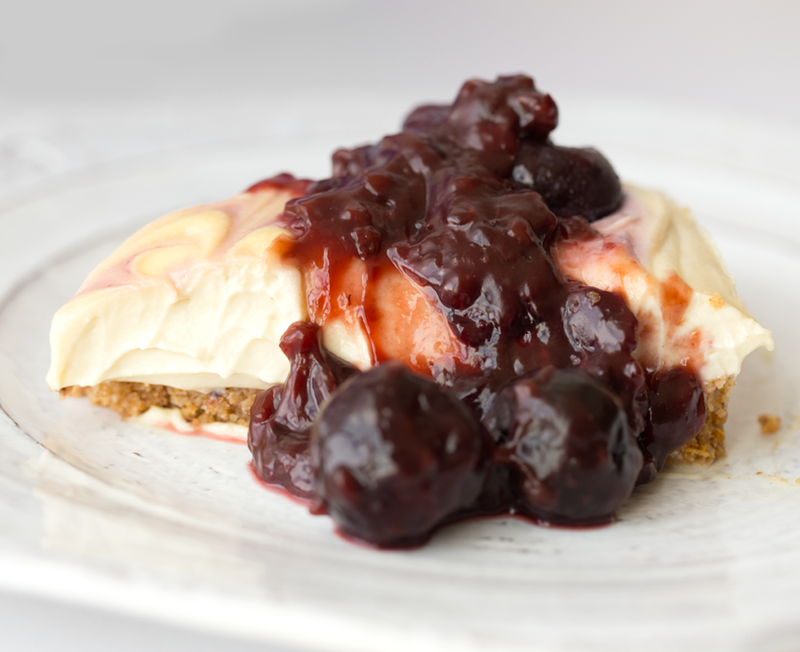 This Vegan Cherry-Topped Cheesecake is rich and creamy with bobbles of gooey summer cherry sauce on top. Fork dive in to recipe #15 lovely readers..
Or you could slice into squares.. 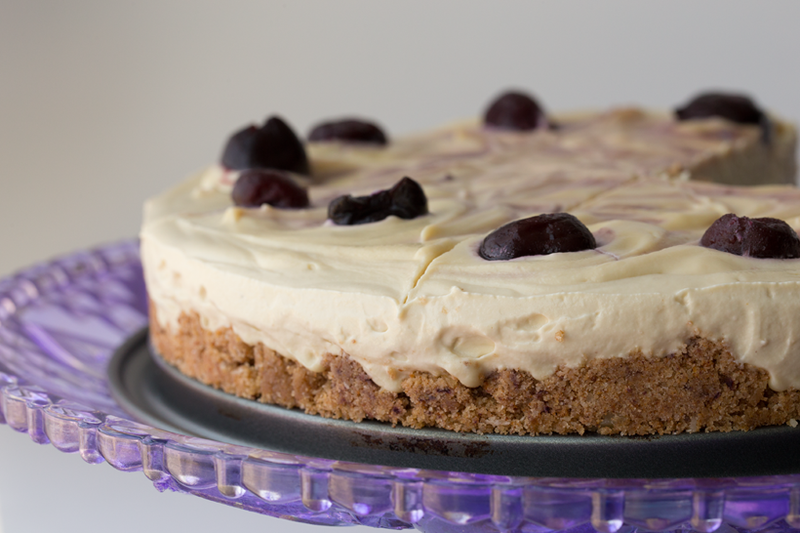 This rich and creamy cashew cheesecake is a vegan, no-bake dessert that is perfect for summer cherry season. First you want to soak your raw cashews for at least six hours or overnight. 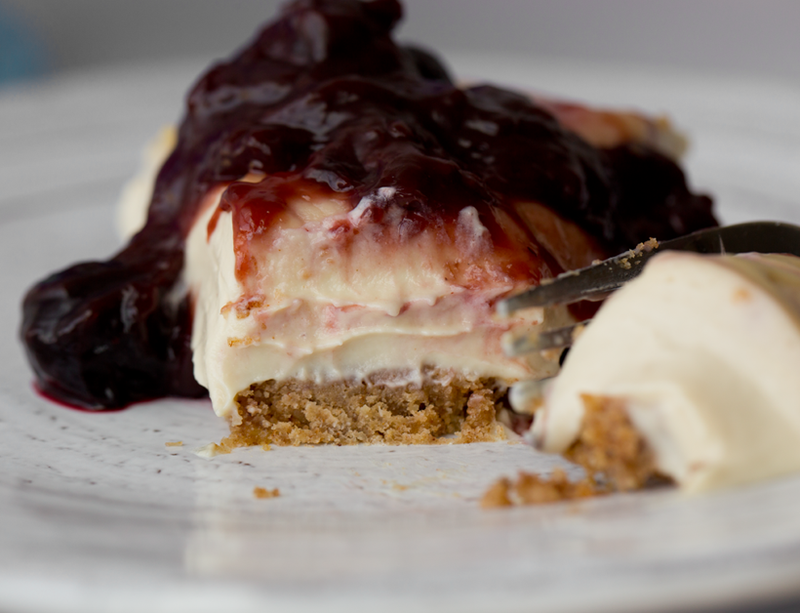 This gives them time to plump up and soften, which makes blending easier and makes your cheesecake creamy and fluffy. When you are ready to start your cheesecake, blend all the cheesecake filling ingredients in a high speed blender or food processor until super creamy and smooth. You may need to stop the blending process a few times and scrape down the sides of the blender. Set filling aside. Using a different blender, add all the cookies and the 2 Medjool dates and blend or pulse until smooth and crumbly. 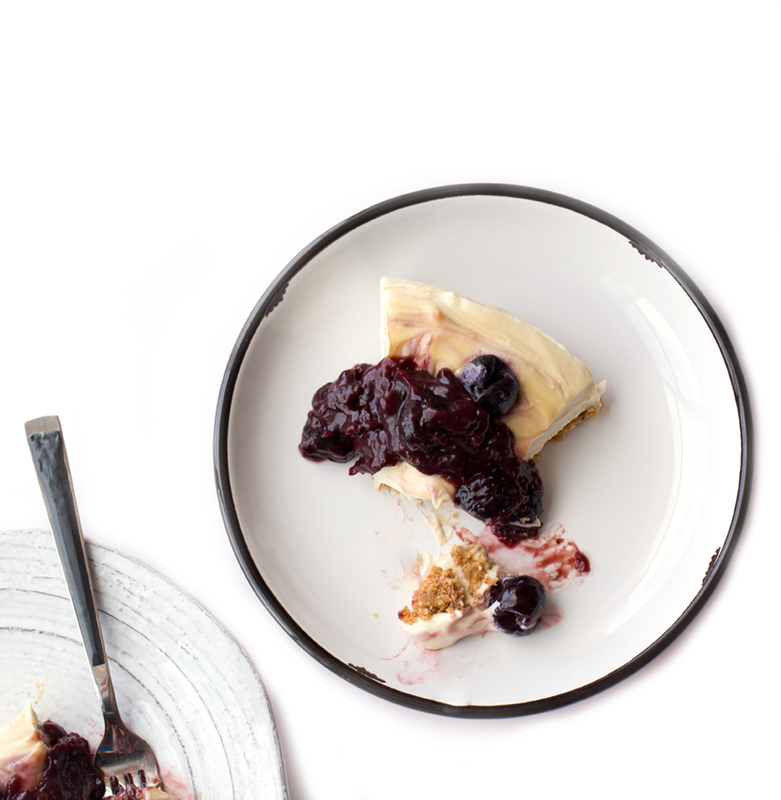 Grease your cheesecake dish or round cake pan with coconut oil - or line with parchment paper. Then add in the cookie crumbles. Press the cookies into the bottom of the pan to form the crust. Pour the cheesecake filling on top of the crust and smooth the top. 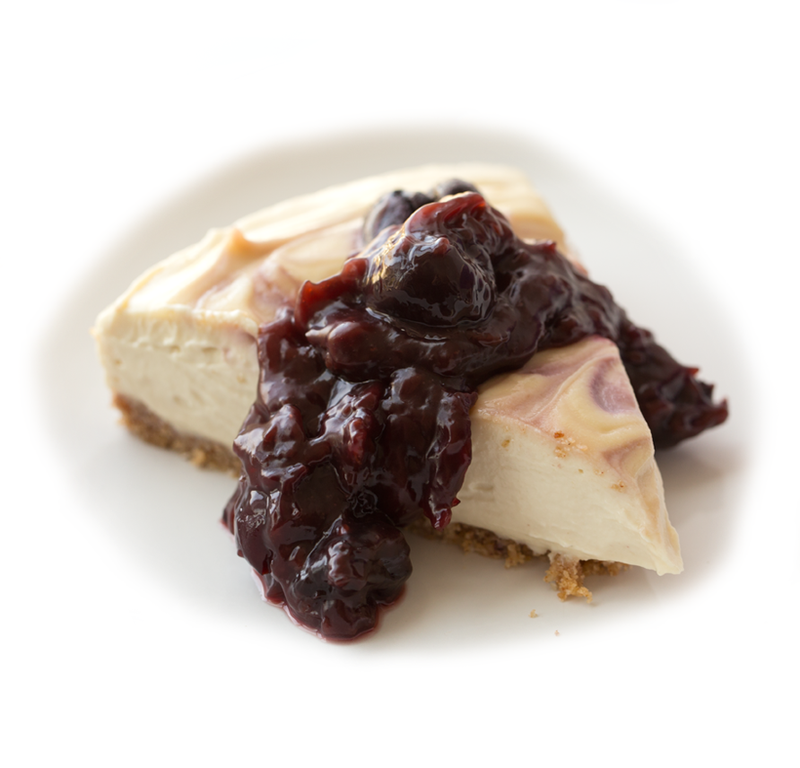 For added effect, take a few cherries and swirl the cherry juice on top of the cheesecake using a toothpick. 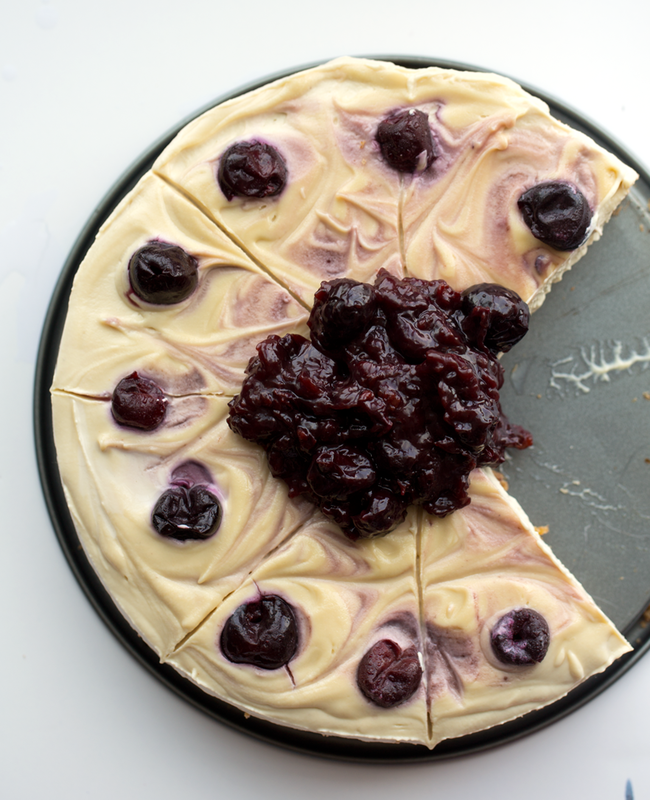 You can even garnish the top with a few whole cherries around the edges. Cover and place in the fridge to chill for at least two hours before serving. 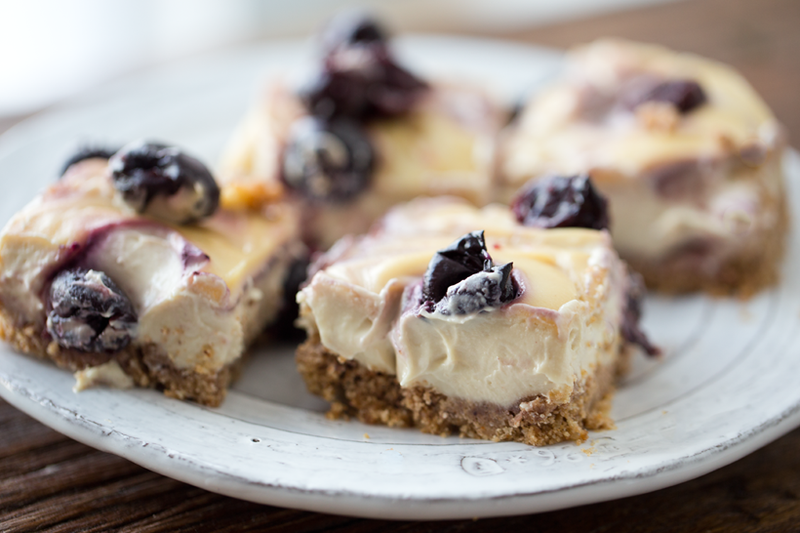 Tip: A half hour before I serve this cheesecake, I place it in the freezer. This firms it up just a bit more and makes slicing cleaner. 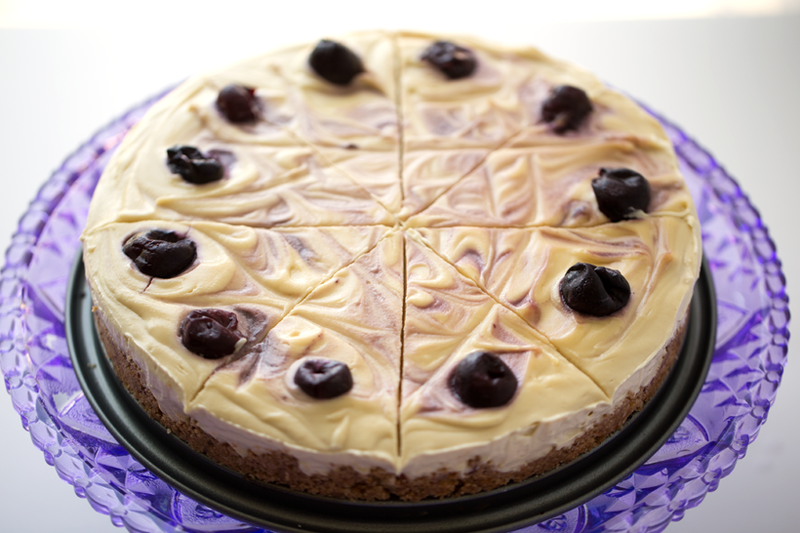 Don't worry, as the cheesecake warms to room temp it softens up and gets perfectly rich and creamy. Cherry topping: Add the maple syrup, water and starch or arrowroot to a small sauce pan. Whisk until the powder is dissolved. Then place it over medium high heat on the stove and add in the cherries. Keep stirring and heating the mixture until the cherries soften and it thickens into a jelly consistency. Tuen off heat and let it cool a bit before using. It will taste a lot like warm cherry pie filling! 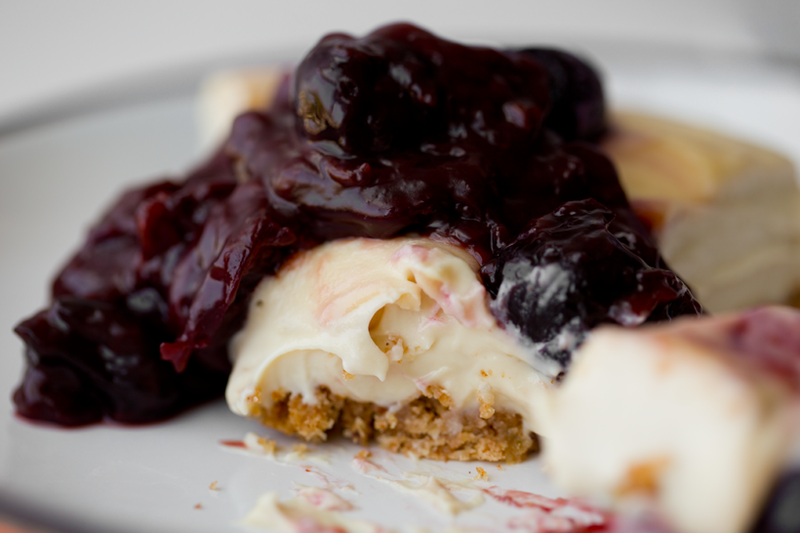 To serve, I add the cherry topping over top each slice, or I dollop the it right on top of the cheesecake. 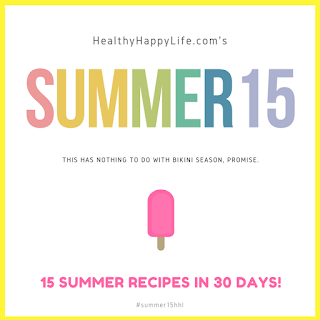 This is recipe #15 in the Summer 15!..